I read this article and found it very interesting, thought it might be something for you. The article is called El Grito Mexican Taquería and is located at https://www.totallydublin.ie/food-drink/restaurants/el-grito-mexican-taqueria/. Swing by El Grito, a Mexican street food counter located in the arch that connects the Ha’Penny Bridge to the heart of Temple Bar, and there often isn’t a free seat in the house. True, there are only about six seats but they fill up fast on a Sunday afternoon while everyone else eats standing up or grabs their tacos to go. This tiny taqueria was opened by Tomasz and Lucia Oleksy in June 2015. Tomasz is originally from Poland and Lucia is from Mexico but the couple met in Dublin. They’d been married for a few years when Tomasz was looking for a change in his career; he wanted to work for himself. 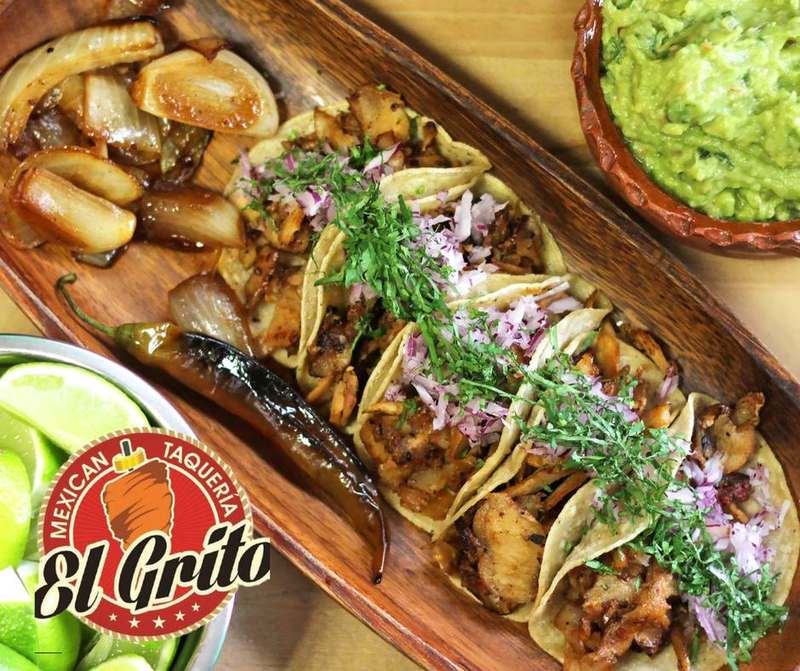 That motivation, combined with a shared love of Mexican food and a feeling that the triumph of a terrific taco was a little untapped in the Dublin food landscape, led them to create El Grito. They open every day of the week and late into the night on the weekends. “Though the city is full of burritos,” Tomasz tells me, “we couldn’t find tacos done in the way they’re done back home in Mexico.” Tomasz and Lucia have travelled extensively around Mexico, particularly in Guanajuato where Lucia is from, and the pair have brought back their love of heat, meat and great ingredients. They source most of their base ingredients from Irish suppliers, from their pork to their beef, but some Mexican speciality ingredients, particularly the chillis, are sourced from the home country. At the first sight of their small, soft tacos, I know we’ve come to the right place; they’re the real deal. They’re sourced from Banco Nino, a company based in Clonmel who are making authentic corn tortillas. Behind the counter, an almost overwhelming amount of pork has been cooking slowly over a kebab-style heat. Hunks are shaved off and served on the corn tortillas (€7), topped with huge fried white onions, a dollop of guacamole, finely diced red onion and fresh coriander. Elsewhere on the menu is a torta (€7), a traditional Mexican sandwich which varies from region to region. The Oleksy’s are serving up their tortas Guanajuato style, slathered with guacamole, refried beans, grilled cheese, fresh coriander, and a choice of meat filling. We go for pork once again as a filling but the choices include beef, chipotle chicken, chilli con carne or Mexican chorizo. The Gringa (€7) is a very naughty quesadilla indeed; a bloated, cheesy stuffed tortilla loaded with Mexican chorizo, a pork mince doused in paprika and oil. It’s mighty enough for even the most intense of hangovers. It’s good, but my interests lie in the more delicate and dainty tacos. 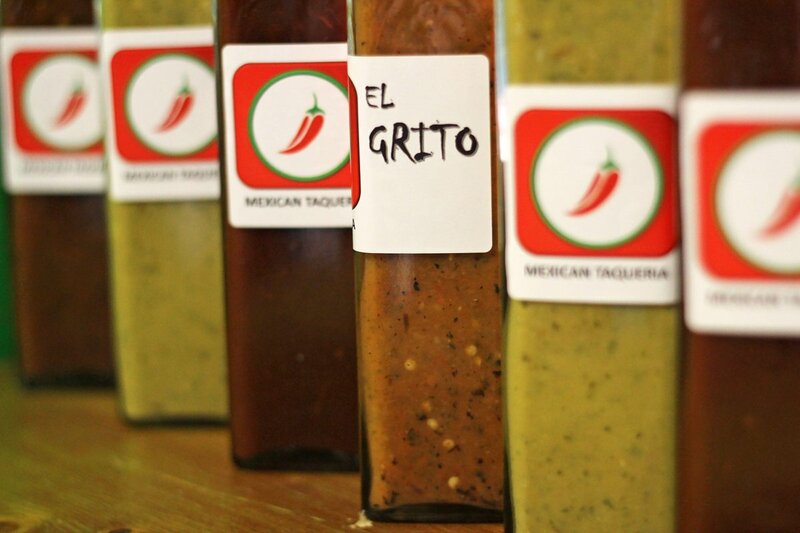 We are generous with the salsa verde, one of three homemade sauces that grace the countertops. The green is a mild and creamy sauce made with green chillis. There’s a tangy chipotle sauce and a fiery habanero sauce to choose from, too. There’s a deliciously sweet homemade Horchata (€1.50), a Mexican speciality of rice water, condensed milk, sugar and cinnamon which cools the palate after those spicy flavours. Once a month, Tomasz and Lucia put a special dish on their menu. “We really want to present the idea that Mexican food is more than just tacos and tortas,” says Tomasz. He tells me how happy they are to have the seal of approval from the Mexican and South American community living here, but they’re also excited about introducing these flavours to the wider community of Dubliners. They’re currently on the hunt for a larger premises so that they can show off their food to even more taco enthusiasts. El Grito challenge the limited view of what many Dubliners might perceive Mexican food to be; there is life beyond burritos and these are the tacos you’ve been looking for. Who knew they’ve been hiding out in Temple Bar all this time? Head down for a January pick-me-up at El Grito – and don’t forget to order the Horchata.